Welcome to the Business Office page! 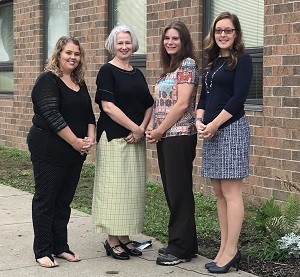 The Business Office supports the achievement of the School District’s mission, goals, and objectives by providing the necessary financial information, analyses, and services essential for sound decision-making and management. This office is responsible for all business and finance functions for the District, including planning and budgeting, accounts payable, accounts receivable, payroll, purchasing, cash management, financing of facilities and improvements, and monthly financial reporting to the School Board of Directors. The Business Manager prepares the annual budget for the District in collaboration with the Superintendent, Principals and Teacher Department Leaders.